Today’s Kalam Foundation’ was started in the year 2016 in Hyderabad by a group of Intellectuals to bring change in a geographical region of Hyderabad(Old City) with the inspiration of A.P.J.Abdul Kalam.Making Kalam’s is the main Objective. 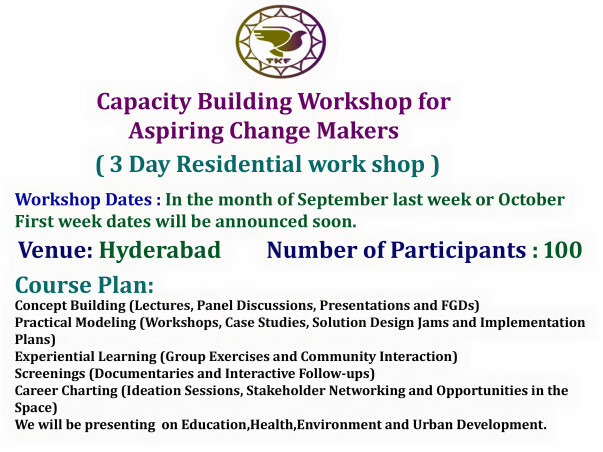 We are organizing a 3 day residential workshop for the youth .This training majorly focus on capacity building of the individual according to his interest. Workshop Dates : In the month of September last week or October First week dates will be announced soon. Number of Participants : 100. Fees: There is no participation fees but they should meet the selection criteria. We will be presenting on Education,Health,Environment and Urban Development. 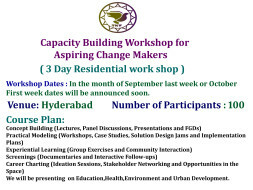 Speakers: We provides a platform for the Aspiring Change Makers to learn from and interact with the best and the most influential people in this space which includes experienced bureaucrats, academic experts and grassroots workers from Various NGO's. After the workshop we will provide them opportunities to work with other organizations who are interested to build their career in Social field and We provide mentors if anyone has any idea to implement. Today's Kalam will form an Alumni with all the participants after the camp and conduct meetings Half Yearly to share their experiences. We will be using the Funds for the expenditure of Workshop for Food,Material and Speakers.We don't charge money from Participants. Per Participant it will cost Rs 2000.We are Raising funds to support 100 participants. Thank you each and everyone for supporting us.We are stopping this campaign but we are still running our Magazine. We will update you regularly. Thank you again!